Because we INVENTED flavored fortune cookies way back in the last century (1988 to be exact) we know what we're doing and are constantly testing new ideas for your enjoyment. 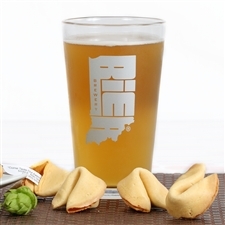 In 2015 we partnered with our neighboring craft brewery to create Beer Batter Flavored fortune cookies. Now that's an innovation you can drink to (and eat)! We're often asked what out most popular flavor is. 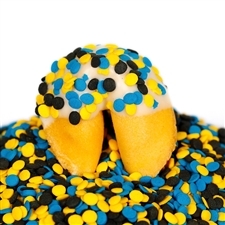 Well, after our classic vanilla, the blue ribbon goes to our luscious orange fortune cookies...so orangey they're like a trip to sunny Florida in your mouth. Nearly as popular are all our scrumptious berry flavored fortune cookies: blackberry, strawberry, blueberry and raspberry (left). Yum! Copyright © Fancy Fortune Cookies®. All right reserved. "Our clients loved them and it was a great way for us to deliver our messaging! The fortune cookies were a real hit around the office and they wanted to know where they could order more. 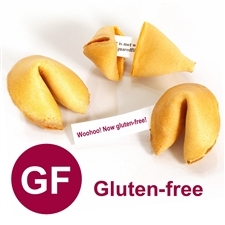 As a result, we've ordered additional custom fortune cookies to take on sales calls to our other clients." "Your fortune cookies were absolutely perfect for our birthday party! My brother even got a little choked up when he saw the personalized messages inside." Visit Wise Cookies's profile on Pinterest.